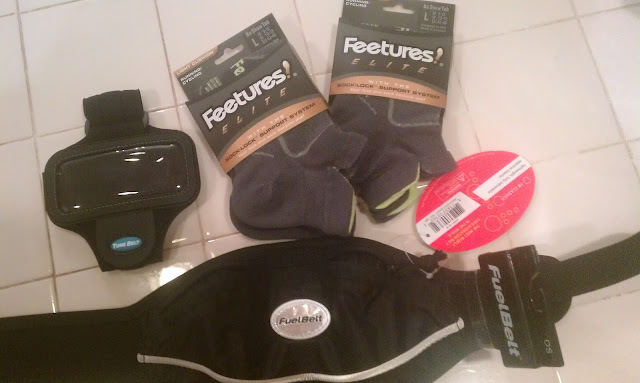 Runs To Get Waisted: A Runner's Christmas! He also got me an iPod holder and a Fuel Belt (aka fanny pack! ), which I desperately needed. Right now I shove keys, my phone and my iPod into my bra, which isn't exactly comfortable or convenient, especially since I'd rather not lose any of those things! My aunt also got me a $50 gift certificate to one of my local running stores, which I was super excited about. I could use more long sleeved wick away shirts, so that is probably what I will use it for.